When you look back on things that could of happened or your major regrets in life, nine out of ten times its because of fear. Fear has such a disabling component on self-growth that its unimaginable. As artists and creatives, we are extreme critics when it comes to the work we produce. Our work comes from the heart and soul. To clients they may not realize it but photographers take pride in their images and fear that you may not like them. As the booming industry of photography keeps growing there are so many out there. I was a snail when it came to shooting family sessions. It took me FOREVER to gain confidence, I would get anxiety before shoots, sweat, pace and pretty much work for under $10 per hour when you crunch numbers. The thing that was stopping me from being me was fear. What if this, or what if that. One MAJOR turning point was the day I had a tour of Lakeside Arts Park at the Dole I was star struck, so nervous to apply for the studio space, because of fear that I could consider myself a photographer who did not have a studio in her mother's basement and then.. I received the email that they accepted me. All these emotions poured in. I actually almost did not go through with it. I talked it over with my honey and just went for it. Why does fear control our lives so much? Why does it limit our dreams? I decided to invest in me and signed that year lease in May 2015. It is Feb 2018 and I just signed my 4th lease with Lakeside Arts Park at the Dole. Started from the smallest space to a double small, to a double large to a woman cave of my DREAMS. I want to personally thank Lakeside in believing in me as a photographer. It gave me not only the confidence to truly soar to what I have turned into today. I owe who I have become to this wonderful establishment. If you take a look at my work you can easily tell when confidence came into my work. Confidence now replaced fear and I am never looking back. Lakeside Arts Park at the Dole, was built in the 1860's by Charles S. Dole. This gorgeous three-story Italianate mansion cost $100,000 back in the 1800's would equal several million dollars today. Through the 1900's the Dole, the mansion has become a Golf Club, a chapel where they had a seminary for high school boys. In 1972, they closed the doors and the mansion was almost abandoned. From 1976 The First Congressional Church of Crystal Lake purchased the property. Every year they throw a huge festival in front of the property with music, food and fun for families in Crystal Lake. In 2001 we almost lost this gorgeous piece of history when the Crystal Lake Park district asked for the city to purchase the property for over $1.6 million dollars. The Dole Mansion was awarded historic landmark status by the Crystal Lake City Council in 2007. Nobody can touch it now. (Mchenrycountyliving.com) We are now a community of artistic professionals. Musicians, painters, a magician, graphic artists, photographers and much more. I am proud to be one of those people. From when I received my studio back in May 2015, I have grown so much. I am the Lakeside Arts Park at the Dole Boudoir Photographer. My main purpose is to gift women the empowering experience of seeing and loving who they are through intimate photography. In March of 2018, my studio mate Ashley Rufino and I, will be launching a community self-love group where we will focus on building up woman's self-esteem, hosting classes on personal growth and much more. Upon being interviewed for the chance to move down to the garden-level C studio which is a gorgeous 900 square feet, Executive Director Siobhan Cottone, asked me what I bring to the community? It hit me, because I did not have an answer. It really made me think and I thought to myself, I can be more than just a photographer. I can help women. And here we have created a profit-free group for women which we are calling Empow(HER) Nation. Below is my personal growth Lakeside has given me the tools to blossom in what I am today. 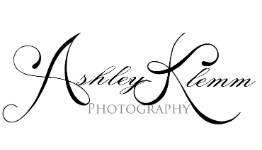 Ashley Klemm Photography. Lakeside Art Park at the Dole located in Crystal Lake Il is overseen by the Lakeside Legacy Foundation a not-for-profit organization with a 501c3 status. Mission: To preserve and protect the Dole Mansion and Lakeside Arts Park at the Dole property for community use in a natural and historic setting. Vision: The Lakeside Legacy Foundation will foster innovative art, education and community destination that enriches the quality of life for those we serve. Unique and intimate Studio Spaces for Artists of all genre's at affordable rents to operate a business out of or for creative art purposes.